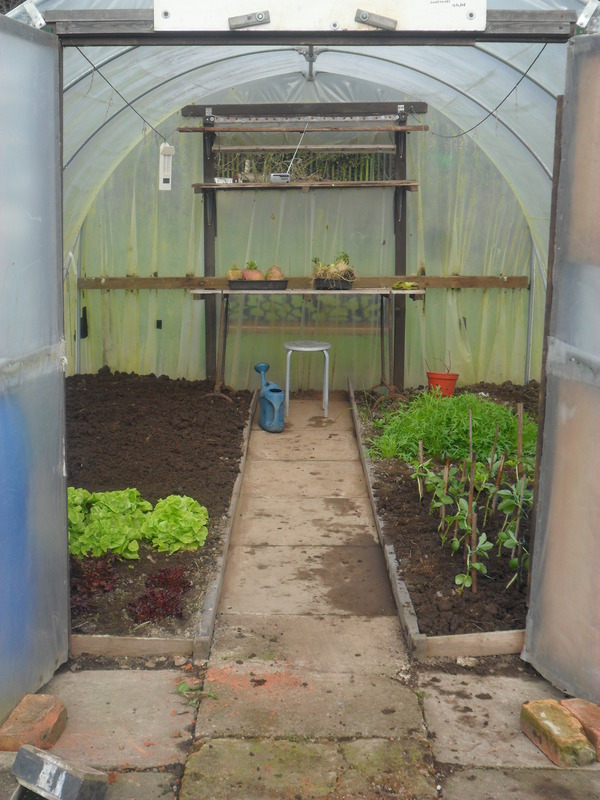 Last week after one of my posts showed a photograph inside my polytunnel, Anna from ‘Dig The Outside’ asked if I had any more photographs. 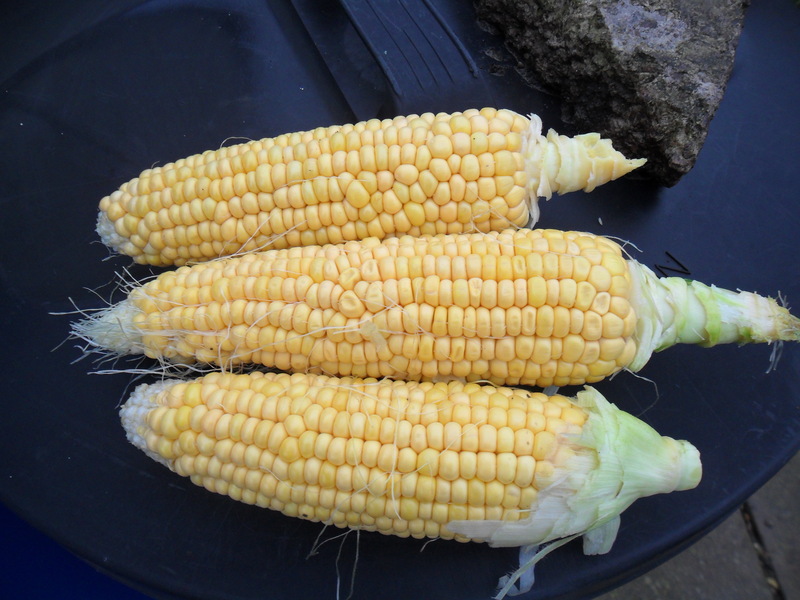 I thought it would be a nice idea to write about my first complete year with a polytunnel and what I have learnt, showing you some of the photographs I have taken. (I apologise that the quality of the older photos are not quite as good as the newer ones, as some of these were taken on my mobile phone, before I started my blog). 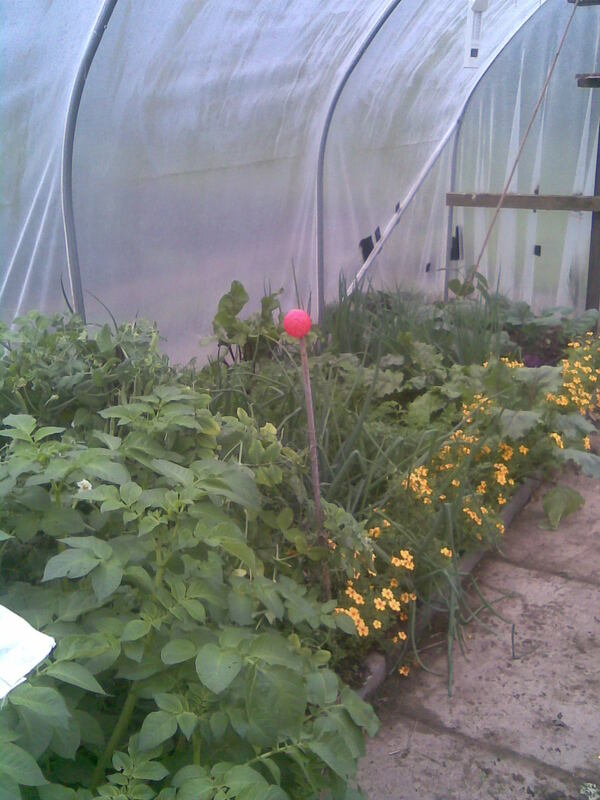 The main reason I took on the fourth allotment plot in January 2012, was that it had some wonderful fruit trees and bushes, but more importantly it had a fairly new polytunnel on it. You can see it in the photo above. You may have read before, that the plot belonged to ‘Eric’ before I rented it. 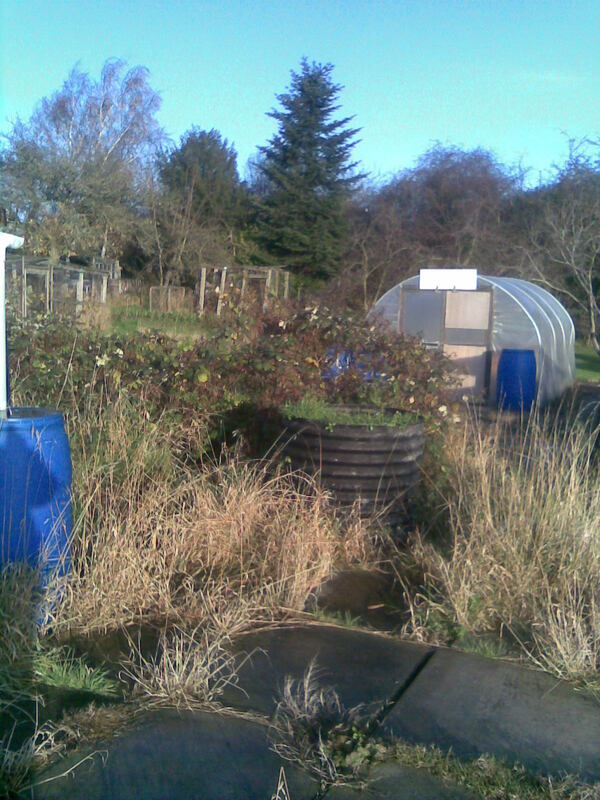 I learnt so much from him and he was, and still is my greatest allotment inspiration. 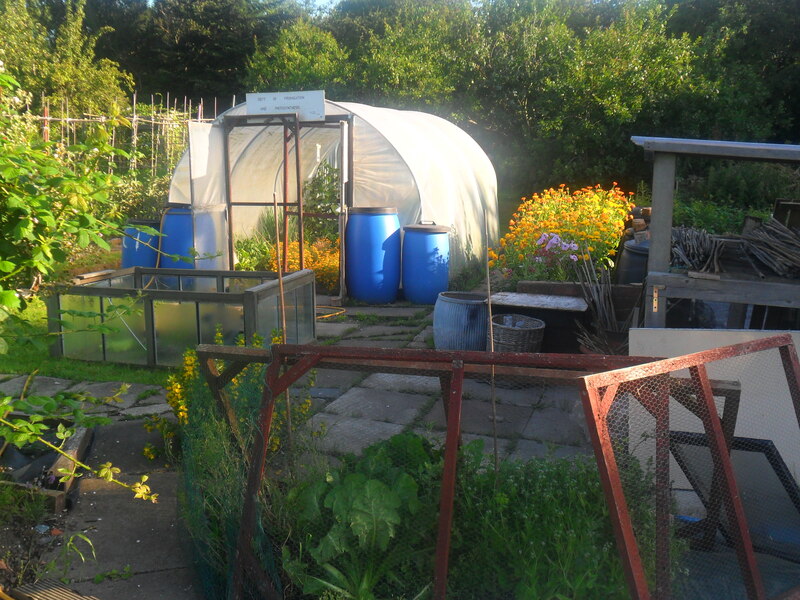 Eric’s family put the polytunnel on his plot for him just two years earlier, after removing the old and dangerous greenhouse that he had. They did a fantastic job, leaving me with a sturdy, well thought out tunnel. 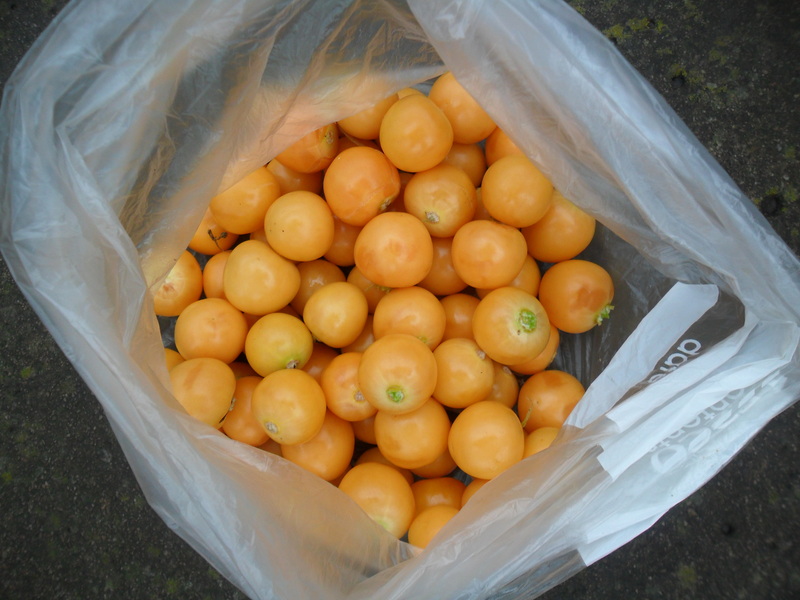 I decided right from the start that I wouldn’t grow tomatoes in my polytunnel, as I had my greenhouse at home for this. 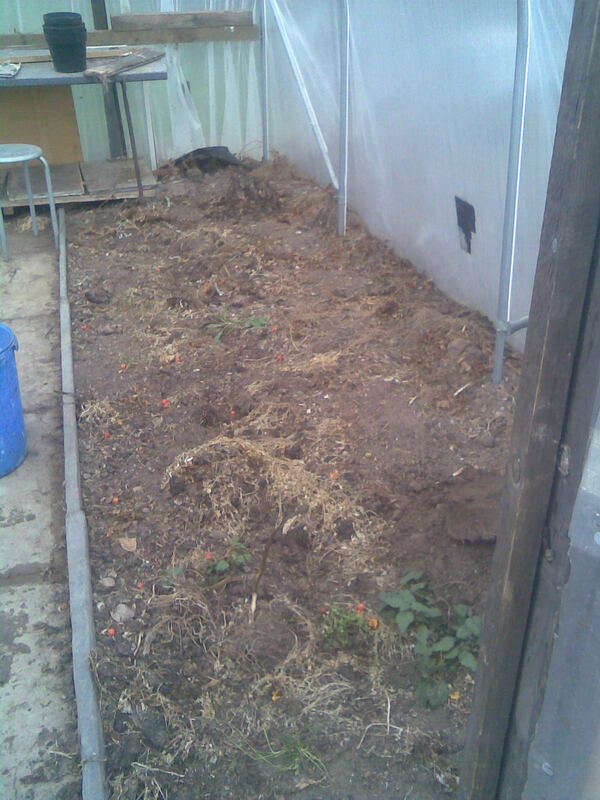 I knew I wanted to grow a large range of plants in there, but my main priority was to lengthen the whole growing season, both at the beginning and the end. 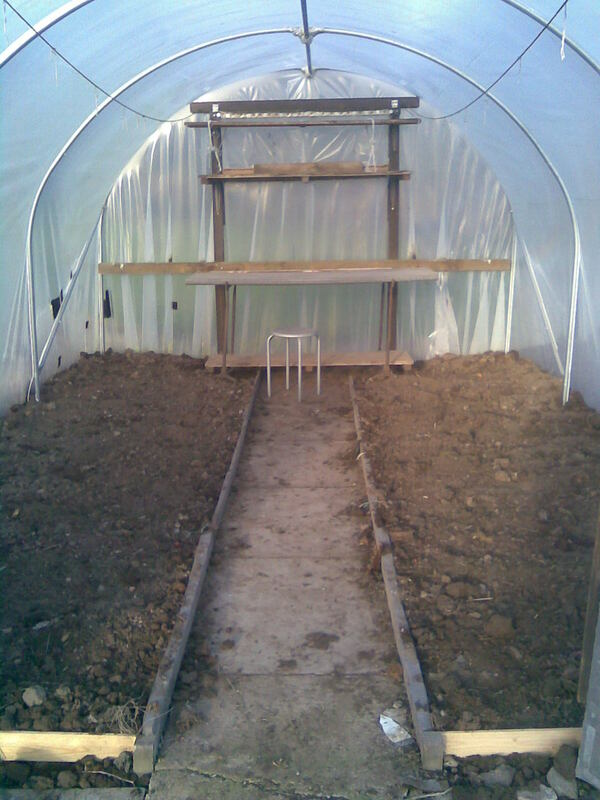 This whole year was going to be a trial year for my polytunnel. 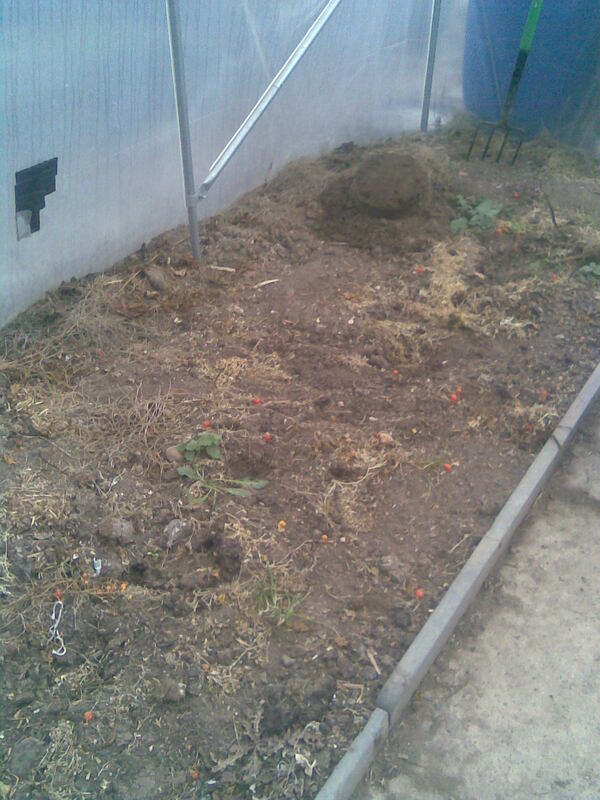 Then I sat and planned what I wanted to plant. 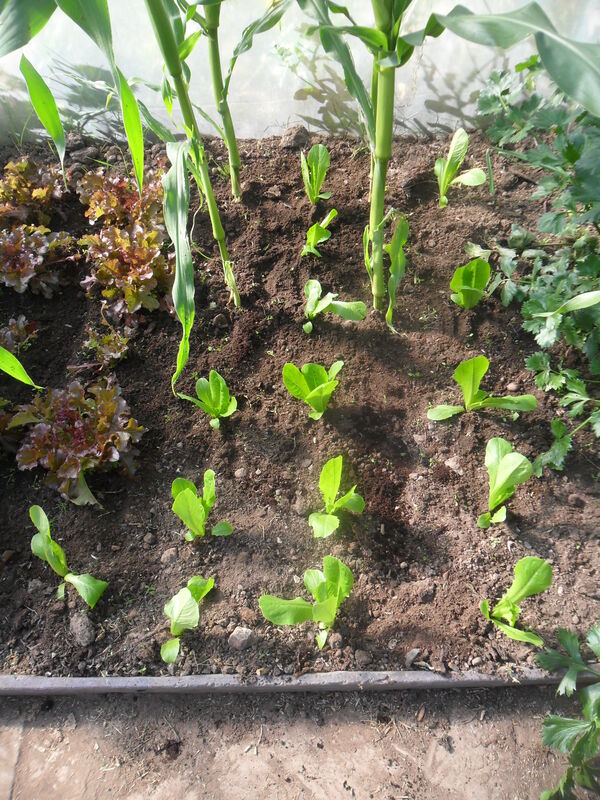 I sowed my first lettuces and radishes at the end of March last year, covered with a small cold frame to begin with and I planted some early peas that I had started off in guttering in my warm greenhouse at home. 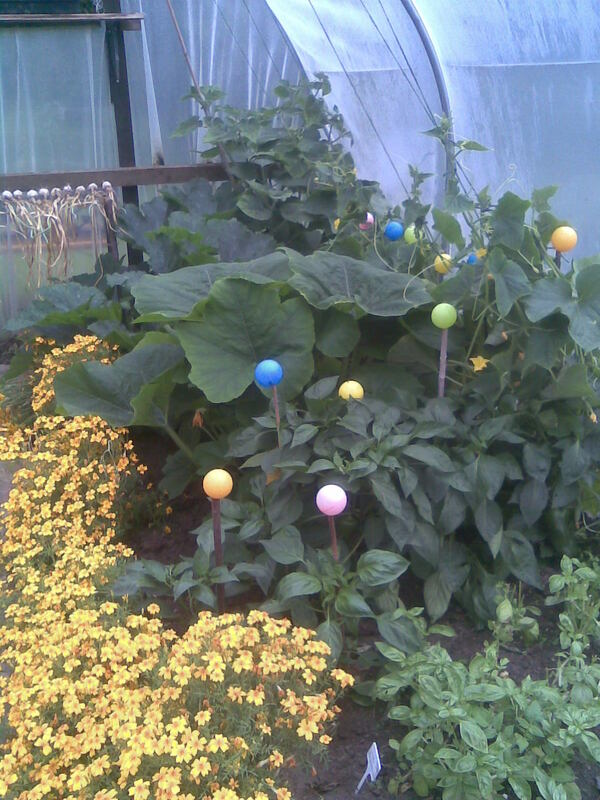 I grew many things in my polytunnel the first year. 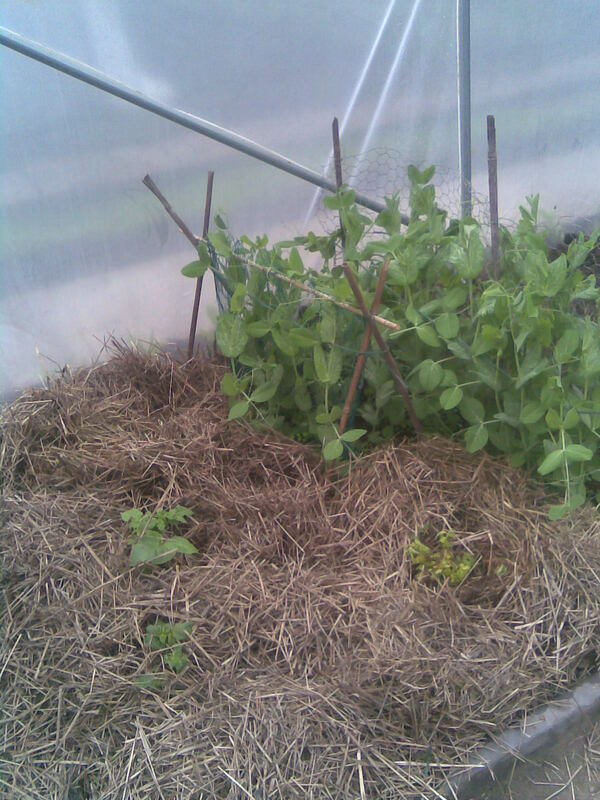 Each time I harvested a crop, I replaced it with a sprinkling of fertiliser and a spade full of new compost and then replanted it with something else. 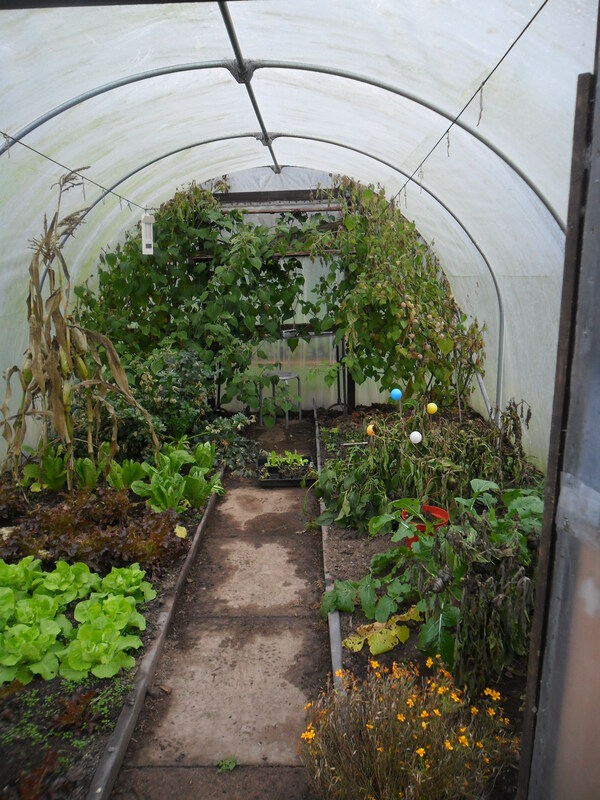 During the last year, the polytunnel has been a godsend, producing crops that struggled outside in such a cool, wet summer. 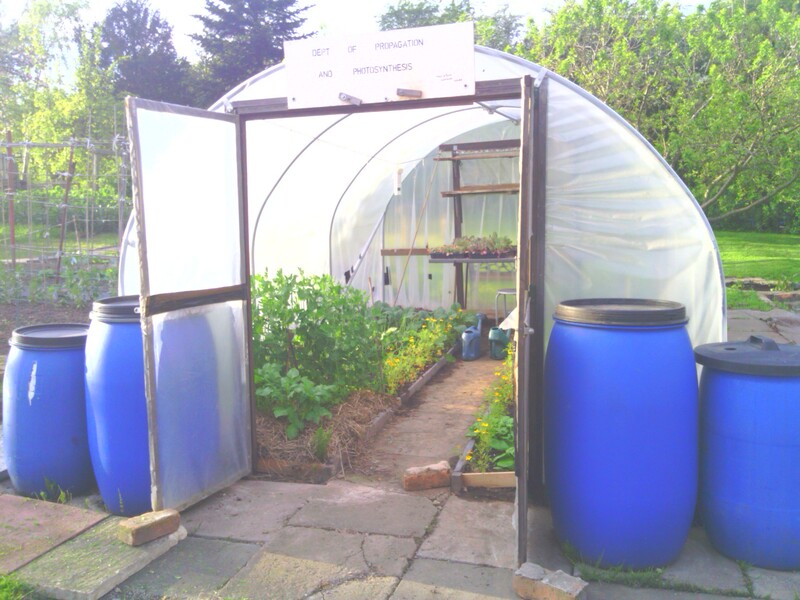 Opening and closing the doors – In April and May I had to visit my allotment every morning to open the polytunnel doors and again every evening to shut them. 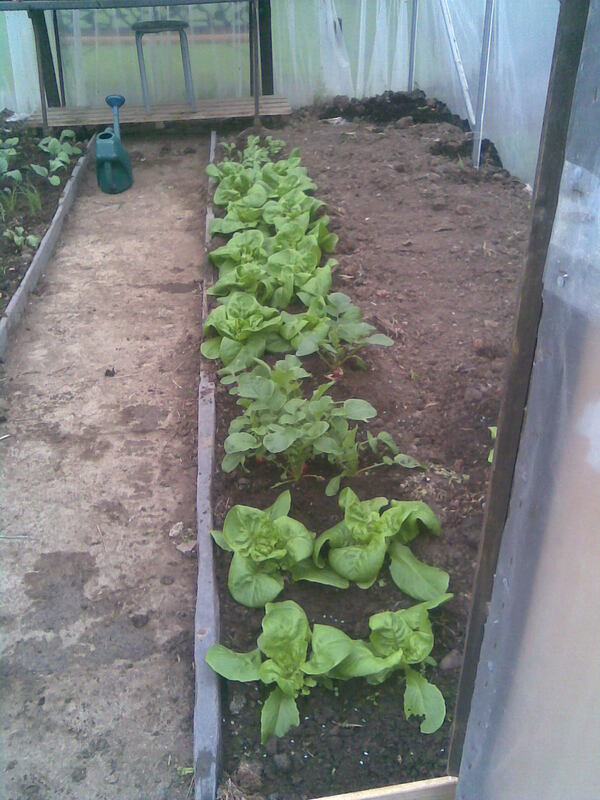 I did this to keep some warmth in during the night, until the threat of frost had passed by at the end of May. Watering needed to be carried out every day during late spring and summer. 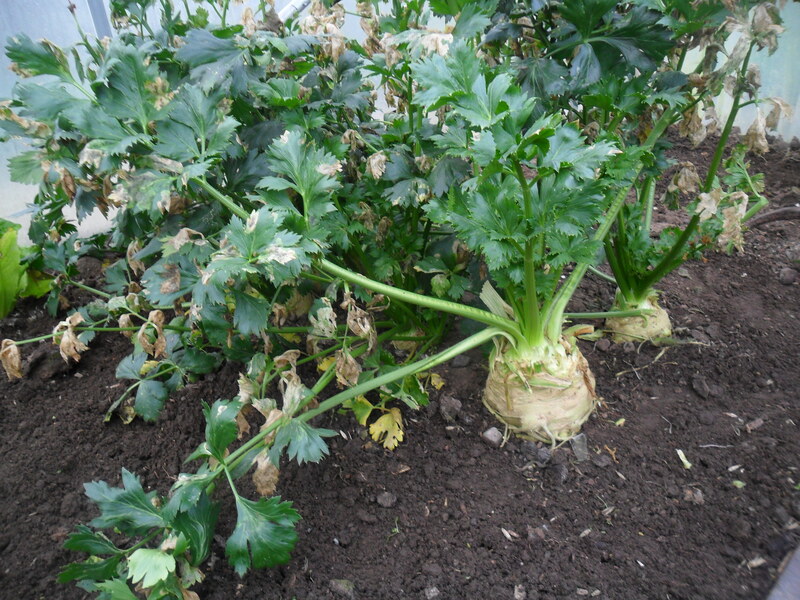 Luckily for me, I have a good allotment friend who helped out when we went on holiday. 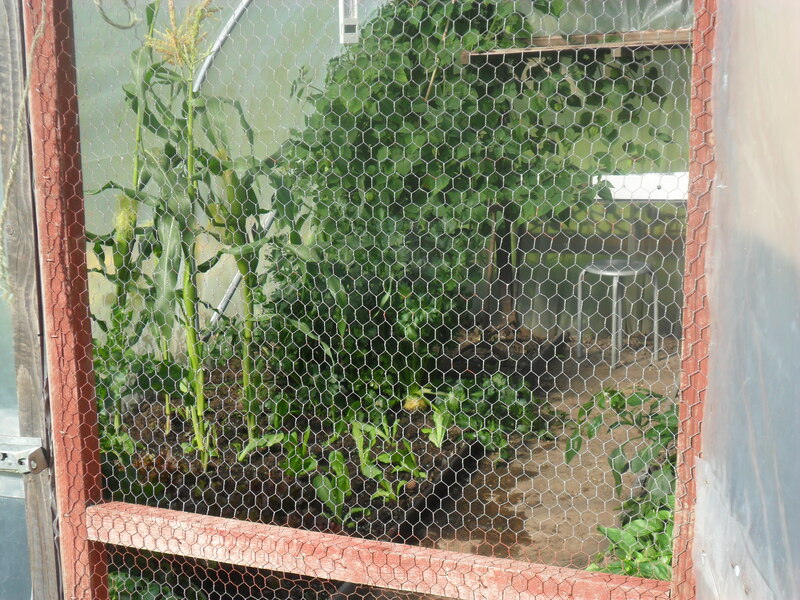 Everytime I left the polytunnel I had to put a caged door on so the local fox didn’t go in. When it snowed in the winter I would have to knock the snow off before the weight of it did any damage. In fact, the last snow we did have, managed to pull some of the plastic away from the wooden door frame. 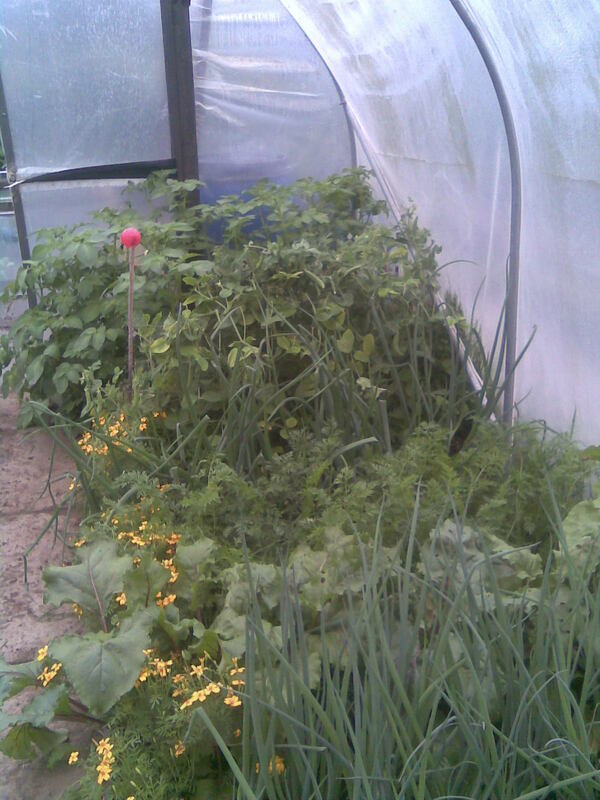 It must be noted that some of the crops that did so well in the polytunnel in 2012, would usually grow well outside, but as it was such a cold and wet summer, it was a godsend. 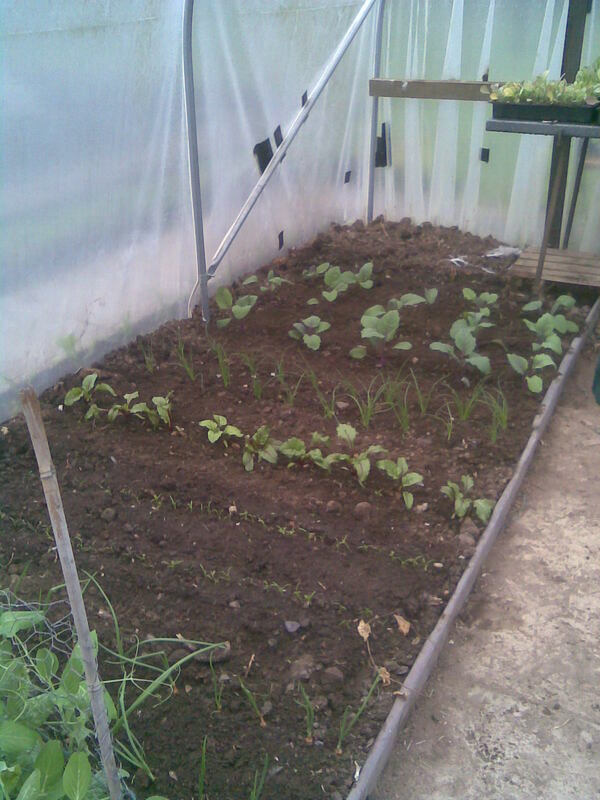 Some things I tried in the polytunnel were because I had one or two plants left over, after planting the majority outside. These plants always grew quicker than the ones I planted outside on the same day. 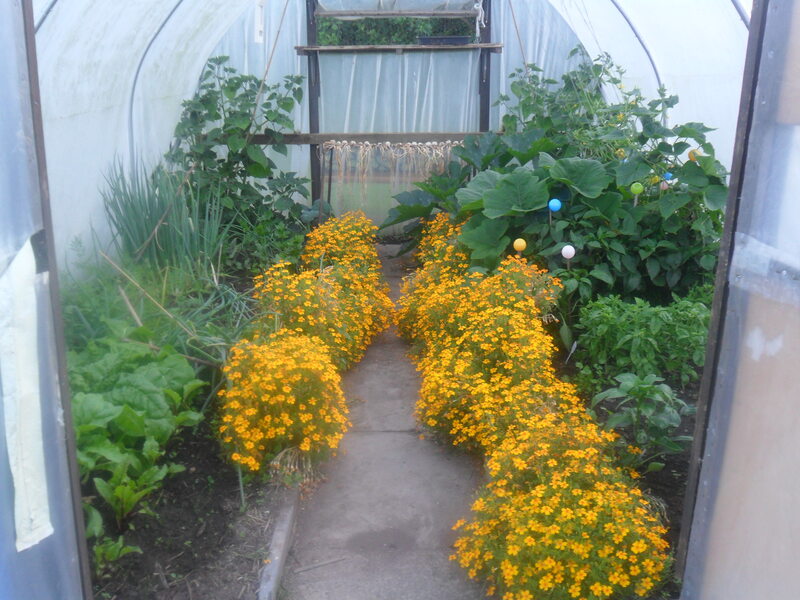 I planted Tagetes in the polytunnel to attact beneficial insects into it and it worked brilliantly and looked great. 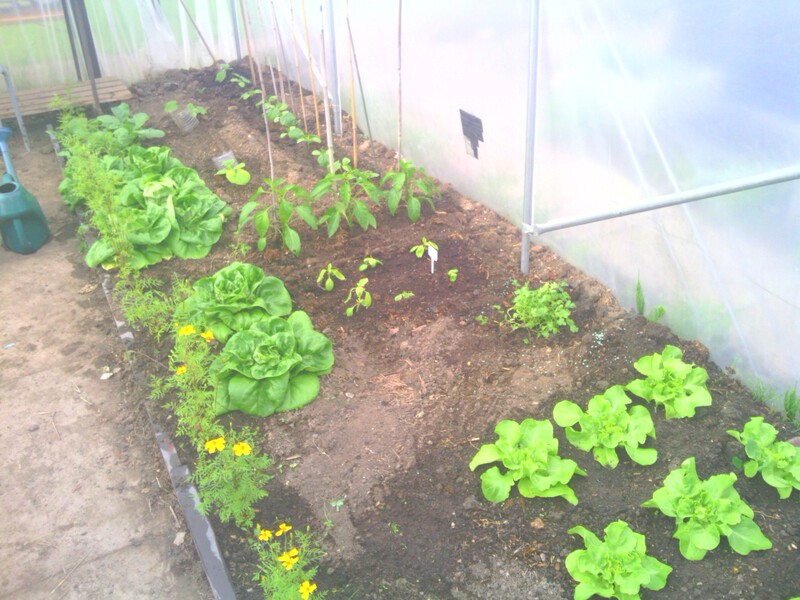 It was great to have earlier crops and later crops, in fact we were still eating my summer lettuces (not winter hardy ones) at the beginning of December, which I think is amazing. 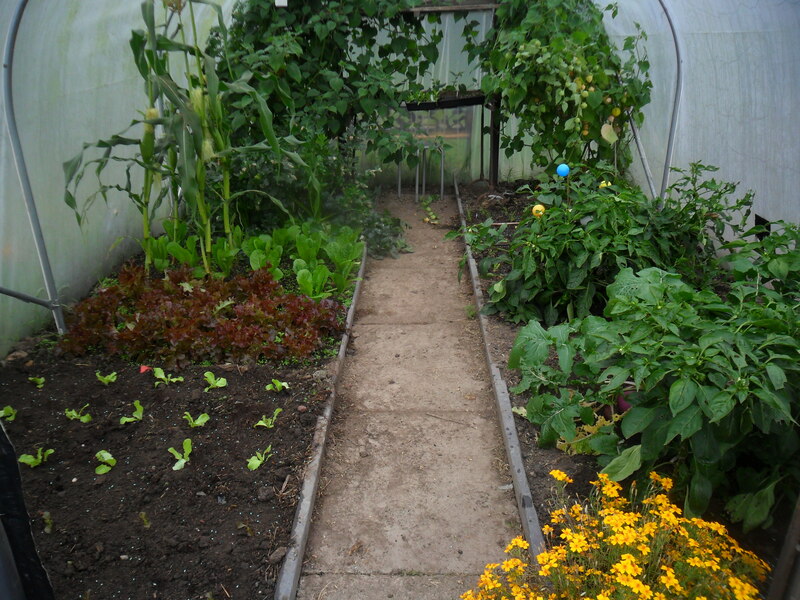 I loved my first year with my polytunnel, but watering was such hard work. I am now looking into the possiblility of somehow attaching a soaker hose to a large water tank I have, but I’m not sure if this will work? 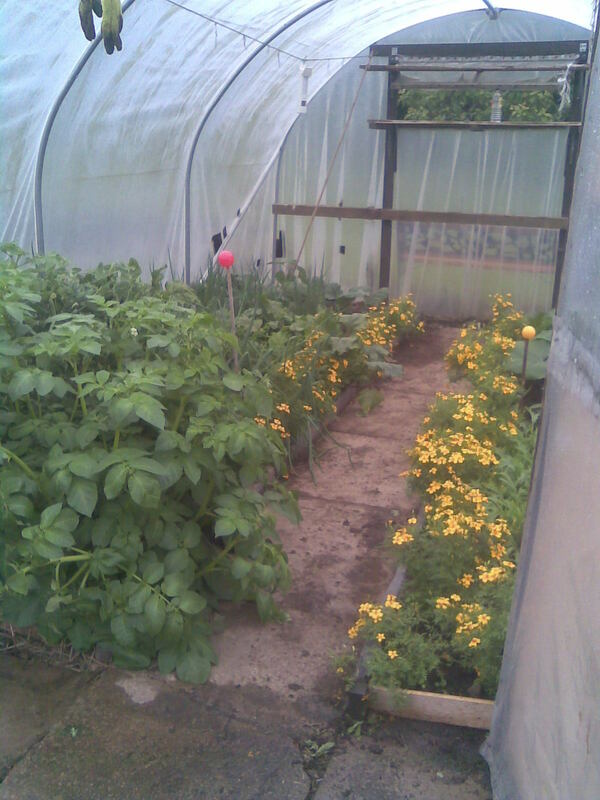 It was lovely to work in the polytunnel when it was impossible to get onto my plot, due to last year’s wet weather. 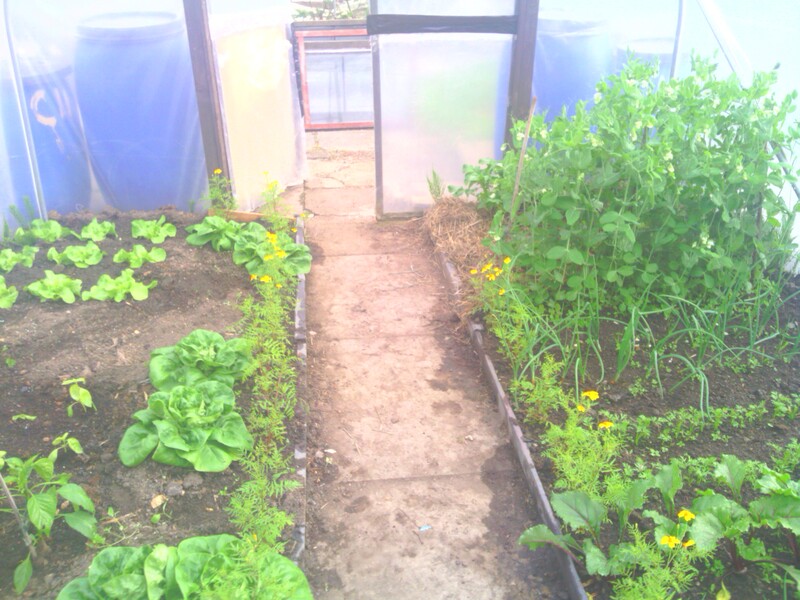 In fact, I can honestly say it was a pleasure weeding and planting in there, listening to the wind and rain outside. 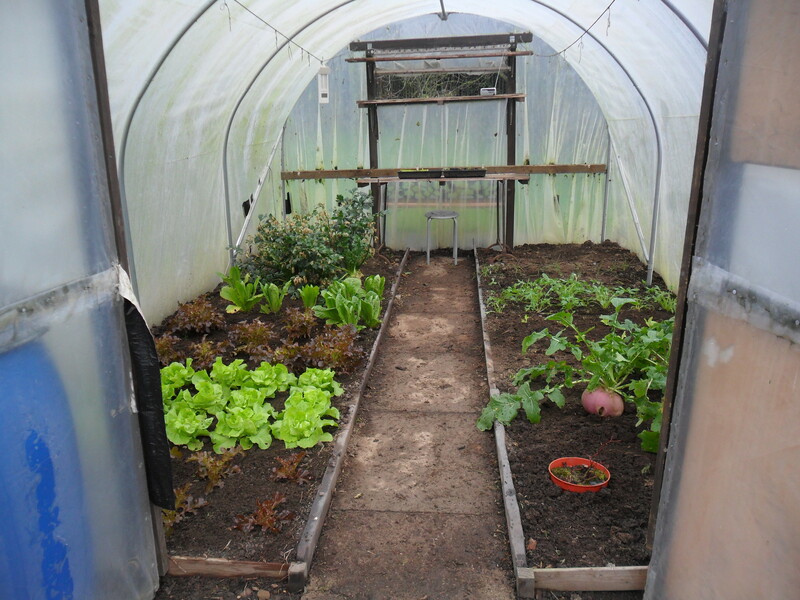 The benefits are so great to me, that I am planning on adding another polytunnel to my plot eventually, when I can afford it, in the hope to have more winter/spring crops ready earlier. I will be back on Friday.